Branded golf equipment is a great way to promote your business for a round of corporate golf or a fundraising event. 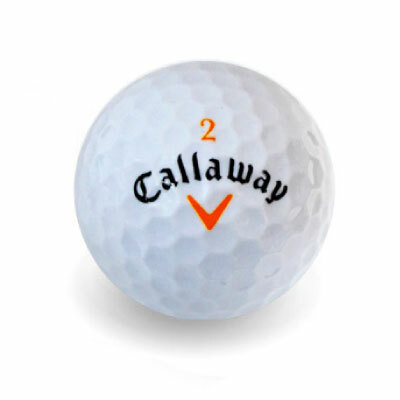 No matter what happens out on the green, with your logo on these Callaway Golf Balls you’ll already be a winner. We supply a range of golf ball grades from A-D, click here for more information. Golf balls packaged in sleeves of three. Above prices are per ball, not per sleeve. Minimum order quantity is 144 (48 sleeves of three). Our prices include decoration as specified and all set up costs. GST is additional. Delivery if required, is extra and charged at cost. Larger quantities are available, please contact us for our best prices. Our prices assume artwork will be supplied in the correct format.